This season, the course at Carrollton has ran slower, and may have been lengthened a few meters which should favor the 'strength' runners. At press-time, it has been discussed that mats may possibly be covering the many pavement crossings which has been a sore subject for XC purists as the growth of Carollton Schools has stirred the pot enough for a few schools willing to loan the mats they have to cover the pavement. This article will include 2A thru 6A State Previews only. The weather for raceday looks very promising at this time and bodes well for fast times http://www.weather.com/weather/wxdetail3/USGA0096 6A...we have been saving the Best for Last, and here it is from Ga.MileSplit.com, thanks to Pre1962 as expounds his unique and detailed breakdown for the Community....Ga.MileSplit.com and GATFXC would like to thank all the Rankers and Runner of the Week Committee members for the tough, time consuming efforts put forth this season to rank each class along with contributing articles and selections. This often is a thankless endeavor, as the Community is eager to differ on selections. We care about the kids, programs, coaches, fans and parents who support the programs and athletes. Good Luck to everyone in Carrollton and once again congrats to the Class A Winners, Podium teams, All-State individuals and volunteers that made it happen! 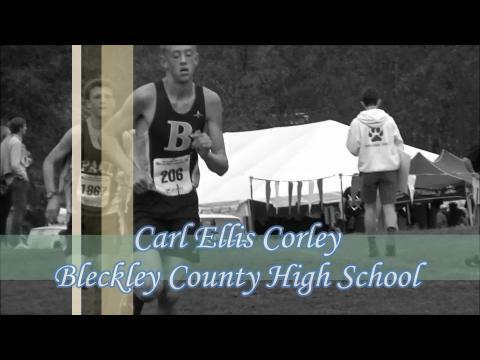 Post-race follow up with Carl Ellis Corley of Bleckley County. He led his team to a first place trophy at the GHSA State Cross Country meet.